Startled awake by who knows what, Quill Gordon came-to face-down at his fly-tying bench. Slowly, he realized the wail he heard was not banshees at the door, just cold wind in the chimney. In the thin, feeble light of dawn, on the first day of the new year, he saw in his hand a Mason jar, the one in which he stored head cement thinner, now empty. Belching, he came to grips with the fact that, apparently, he had consumed the entire contents, no doubt in some sort of shack nasty-induced rage. 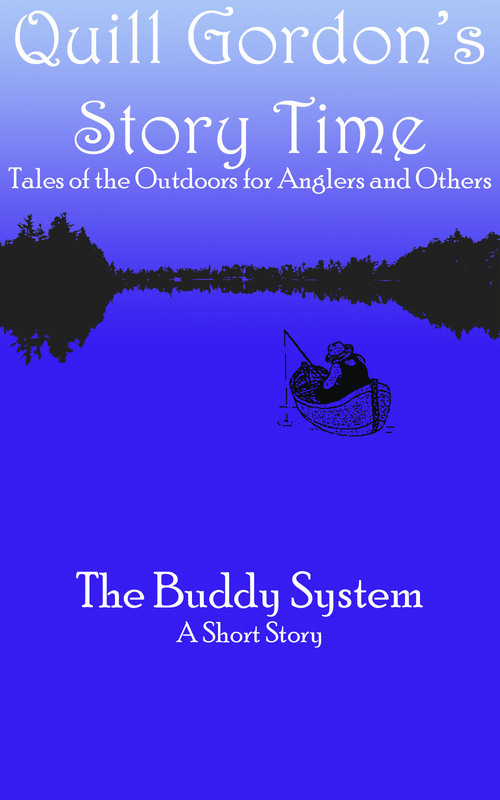 Having at least a rudimentary command of fly fishing skills and knowledge, I have spent the last ten years in close observation and study of anglers and their ilk. One conclusion I have reached is that a vital segment of the fly fishing community remains chronically under-served. I aim to correct that situation and I do not want you to miss out on this Important Investment Opportunity! According to this article by Kirk Deeter on Field & Stream‘s Fly Talk blog, the American Fly Fishing Trade Association estimates that, in the U.S. alone, close to 4.5 million of us fly fish at least once a year. As Kirk points out, some sources put the number higher, some lower, and some prefer to look at only those who are regular consumers of fly fishing products. With estimates as high as 10 million and as low as 1.5 million, we’ll stick with 4.5 million as a conservative average. Obviously, a certain percentage of us fish more than just once or twice a season, in a wide range of weather and other conditions, and manage to have a fine time doing so. We find the time we spend outside, doing something we love, to be an invigorating balm for our souls. But what about those others, the ones who don’t fish much at all because to do so would mean actually getting outside? The ones who constantly find it too hot, too cold, too rainy, or too windy. The ones who say they’d like to feel they were part of something larger than themselves, if only it weren’t made up of so many things smaller than themselves, like black flies and mosquitoes, spiders and mice. The ones who react with anger at otters and loons, and at the end of the day knock baby birds from their nests for pooping on the porch. I have seen far too many fly fishing experiences absolutely, completely ruined by the great outdoors. Making allowances for, among other things, the fact that some anglers will struggle on their own for a week, or that an entire camp can be demoralized in a weekend, my observations lead me to believe that at least 25% of all fly fishers would fish a lot more if they didn’t have to do it outdoors. Beyond dues, assessments and other monetary considerations, there is a price to pay for membership in an organization like the Neverwas Nonesuch Angling Society. They say a person can’t truly enjoy fly fishing until they have a family of their own to ignore, but ever since the first shower was installed, all those years ago, part of that price has included, at minimum, a weekend at Fish in a Barrel Pond with at least one’s spouse, maybe even the grand-kids. Not steeped in the lore and traditions of grand old fishing clubs like this, those spouses and extended families are prone to confusion, fear and misunderstandings. It often falls to me to assuage their fears and explain how things are done around here, though I think some anglers harbor secret wishes that that everyone will be so miserable they never want to come back. Sandwiched neatly between the two biggest spectacles in American sports is an event that, while less well known, is just as competitive and, to its participants, as important as any contest yet devised by Man. For some, February is defined by the Super Bowl™, for others, it’s the Daytona 500™; for the members of the Neverwas Nonesuch Angling Society, their eyes in February are on Opening Day of Reservation Season™. The injuries of which I’m aware have been minor and, so far as I know, no one has died, but the small stakes involved do not diminish the serious nature of the battle. 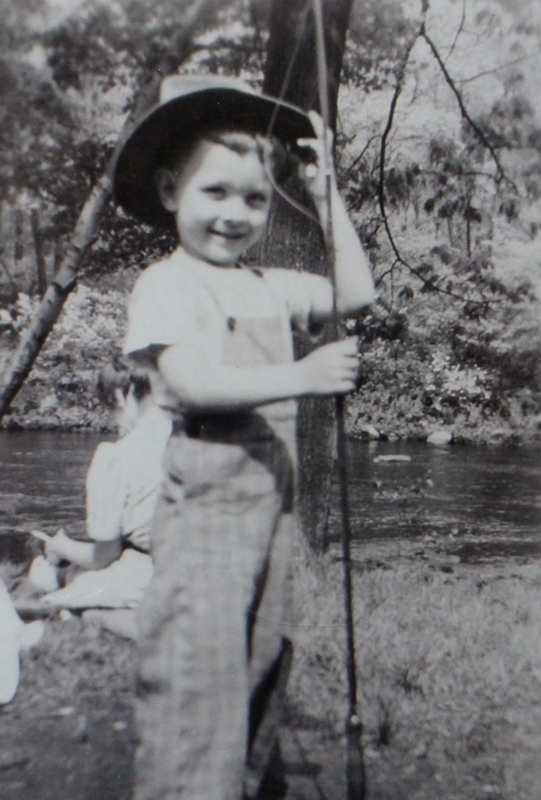 Richard Herkimer Conroy was not born with a fly rod in his hand (his mother would not allow it) but by the time he was four he could cast a line further than men ten times his age. Few anglers know his name, let alone his story, and only scattered traces remain of his meteoric rise and ignominious decline, but “Little Dickie” Conroy’s influence is still felt today. Mocked, jeered, and once nearly burned alive by those who took offense at his unconventional style, Little Dickie’s mastery of the fly line has yet to be equaled. From elite casters to green dilettantes, many have tried, but no one has ever thrown a line like the dapper young man from Kansas who once, in front of three thousand people, landed a fly on a poker chip from fifty yards away while turning a one-handed cartwheel. Strange noises have been heard in our little valley for the past six weeks or so, leading some to believe the Nonesuch Mountain Howler once again roams the hills of Vermont, but I assure you the sounds have been nothing more than Quill Gordon learning new skills and entering the 21st Century. Three short stories, posted on these pages years ago and languishing ever since, have been taken down, given a good thrashing and a new set of clothes, and tossed out into the world to make it on their own in e-reader format. New stories will be added to the selection on a semi-regular basis, along with other dusted off gems from the archives, but these three will do for now, as the results of a long, frustrating process. I hope they meet with your approval. I’ll give you your dollar back myself if they don’t. A strange sort of crazy settles in as winter comes to an end and spring begins. It is never a smooth transition, weatherwise or otherwise, and sometimes I think I’ve made it through the dark time without succumbing to a bad case of the Shack Nasties when it turns out I only repressed them. It was a dark and stormy night. Some say my friend, Eugene, was riding a door strapped to a couple of compressed gas cylinders; others say it was some kind of jet-propelled ironing board. What he was riding is not important now but all accounts agree that at about the time the river was cresting Eugene shot downstream in a long, horizontal spiral like a bottle rocket. My old friend, Dr. Marcus Feely, recently spent four days here at Fish in a Barrel Pond. He will be back in August, with his wife and family, and again in September, with some lucky young receptionist from his office. Last week, however, he was here by himself. I hate to say it, but when he is alone he gets lonely and if I stopped to chat every time he wanted to talk I would never get anything done. I don’t exactly hide, but I can be difficult to find and I don’t exactly skulk, but when Doc Feely is here I do tend to skirt the edges a bit more than usual. My stealthiness is tested during his visits, especially when he stays in the Cahill camp, which I must pass on my way to inspect our overflow spillway. I got out there just fine on Tuesday, crawling on my belly beneath the kitchen window while Doc sat on the front porch, listening to the Red Sox game, but coming back, as I drew near I heard ice in a glass and froze. Doc Feely was making a drink in the kitchen and I had to think fast. I could stay right where I was and wait, sauntering past after he toddled back out to the porch or I could find an alternate route and be on my merry way. Instead, I panicked when I heard the kitchen screen door squeak open and slap shut, followed by the approaching tinkle of ice in a drink.